Perfect for a conference giveaway or to post out to your clients. 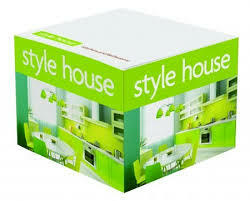 Our Paper products make useful tools for office based clients and are sure to be used every day. Containing approximately 750 sheets of white 80gsm paper. Individually shrink wrapped. Can be printed from 1 - full colour on all four sides and each individual sheet.